It’s not uncommon for large groups of people confined to depressing institutions where their every move is monitored and their freedoms are limited to divide up into splinter factions where each group’s solitary unifying factor is either their race, gender, nationality, heritage, lifestyle choice, or their desire to survive to see another sunset, and I’m not just talking about high school. 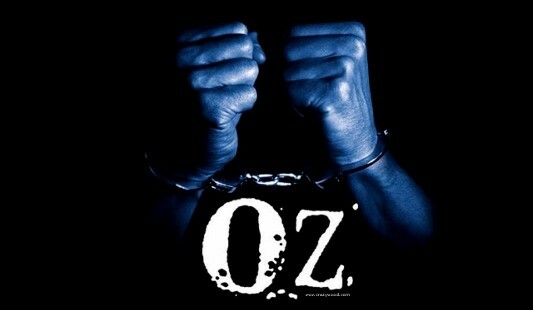 One of the basic rules of survival when you end up spending an extended amount of time behind bars is to join a gang, something that the brilliant television series Oz taught me. Check out this infographic here below called A Look At The Gangs In Oz which breaks down every gang on Oz, listing the leaders, along with the criminal statistics of the gang members. Everything is coming together rather nicely for director Sam Raimi‘s Wizard of Oz prequel Oz, The Great and Powerful thus far. After a rocky start trying to lock in a lead, things have settled down and quite the impressive cast has been put together. The prequel stars James Franco as a snake oil salesman who’s whisked off to the lands of Oz in his hot air balloon, where he’ll find himself in the middle of a power struggle before becoming the eventual “Wizard of Oz.” But before Franco was confirmed, Robert Downey Jr. was set to play the part and Johnny Depp was mentioned as a possibility when Downey left. Sam Mendes To Grab Robert Downey Jr. For New ‘Wizard Of Oz’ Movie? When it comes to classic titles, people have a zero-tolerance to remakes and reinventions and anything that may taint the integrity of the original. When it comes to The Wizard of Oz, however, there seems to be a special type of open-mindedness to prospective future titles. 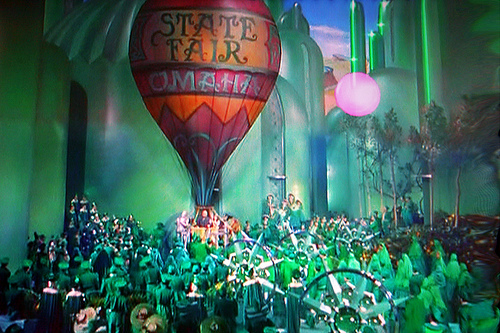 Part of this is because the beloved 1939 Judy Garland film was not the first to be adapted from Frank L. Baum‘s timeless story — not even close — and because it’s such a perfectly fantastical playground, eternally ripe for creative minds to reinterpret and re-visualize according to the cinematic times. 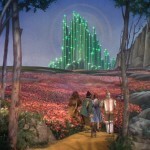 There’s a handful of possible Wizard of Oz films currently in various states of development — most of which will likely never see the light of day — and it’s only a matter of time before a couple of them get that big green light to go into production. Here we are, at the last day of Amazon’s week of HBO deals, topping it all off with today’s spotlight item, Oz – The Complete Seasons 1-6 on DVD for only $86.99 (that’s 64% off the list price of $238.98). This sale is only for today til midnight PST while supplies last. This offer bundles together the six individual season DVDs (meaning, it’s not a box set). Math time: this deal works out to be about $14.50 per DVD, which is more than half off the typical individual season DVD price. Oh, and in case you didn’t know, this series takes price at the Oswald Correctional Facility “Oz” — that’s right, a men’s prison. And since this ran on HBO, it was no holds barred… for real. It’s violent, it’s graphic, it’s not for innocent eyes, but it was an awesome show.